The list of Village Hall fundraising events has been updated as shown below. If you would like a printable pdf copy then please click here. 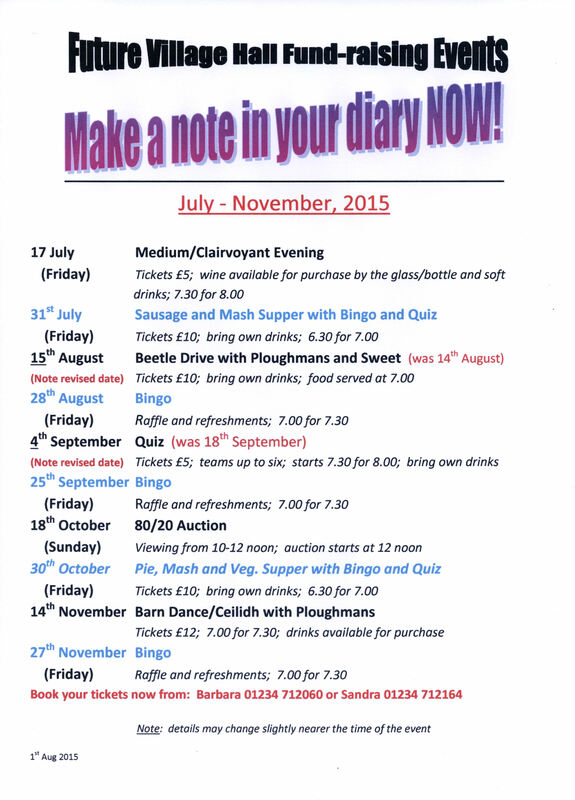 Village Hall Fundraising Events July-Nov 2015, update. Posted on Wednesday, 5 August 2015 by Editor •	This entry was tagged Events, Village Hall. Bookmark the permalink.